I posted this in February 2012, I did a week long tribute to my Italian heritage. 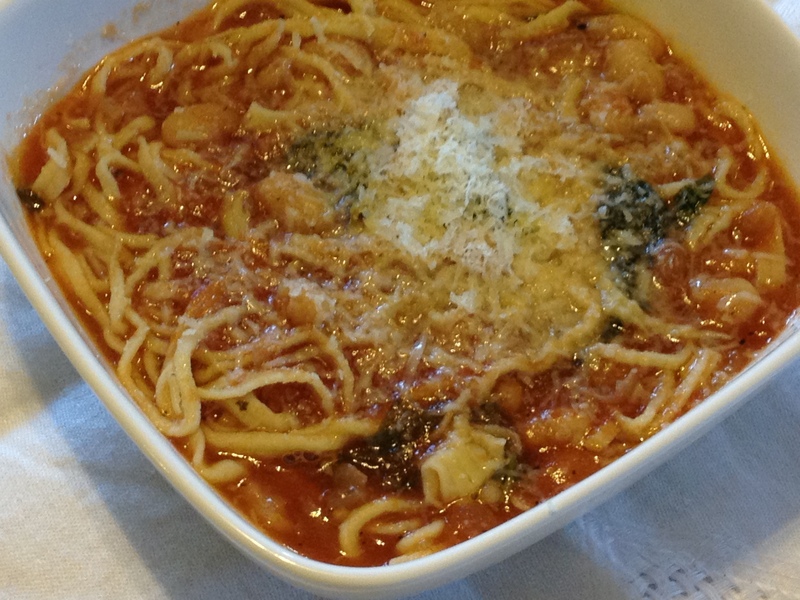 This is my Mom’s recipe for Pasta Fagioli, she really made this her own and was known for this dish. It took years for me to pry the recipe from her, like so many cooks she never wrote anything down including amounts so it was hit or miss and it took me several years to get it right but my latest version was the closest I have ever gotten to my Mom’s fabulous recipe. It was one of my favorites as a child. My Mother made it so well. I have been trying and this was the closest. Thank you. This sounds really good Suzanne. I like the amount of sauce with the pasta. And using salt pork must really give it a wonderful flavor. Love this. Salt pork is key for this in my opinion I only say that because I am replicating my Mom’s but I am sure it would be great without it as well! Thanks so much. Great recipe! Brings back good memories – my grandma makes a similar version of this dish and I usually eat it at least once when visiting her in Italy. Next time I visit I’ll propose preparing it with shallots. The shallot is my idea, I happen to like using them, my Mom used onion. Would love to know how your Grandmother makes this. Thanks Julian. Gosh that looks yummy Suzanne! I haven’t seen ‘Great Northern Beans’ over here before… but I just googled them and they seem to be in the same league as cannellini and navy beans. I look forward to trying this recipe! They are just white or navy beans. Yes exactly, love google you can find out info on just about anything. This is recipe is in the top 5 of favorites from my Mom. She really knew her way around a kitchen. Thanks so much. Wow, at least you managed to get the recipe! I never did. With particular breads that the Matriarch used to make. Gone! Something like haricot would be similar to what you’re using. Cannellini are larger. Sometimes it’s just too confusing! Have you seen your doctor yet? And if so, hoping it was good news. Oh it’s like pulling teeth to get recipes, it took years of prying and prodding and the taste is like 98% there I still think there could be something Mom left out. No seeing the doctor on the 23rd, will let you know she only see’s patients one day a week and that was the first available that worked for me. Thanks Brandi, yes I love adding beans to all sorts of dishes. Shallots are great, different than an onion similar in flavor, I use them all the time in place of onion. Wonderful recipe!! 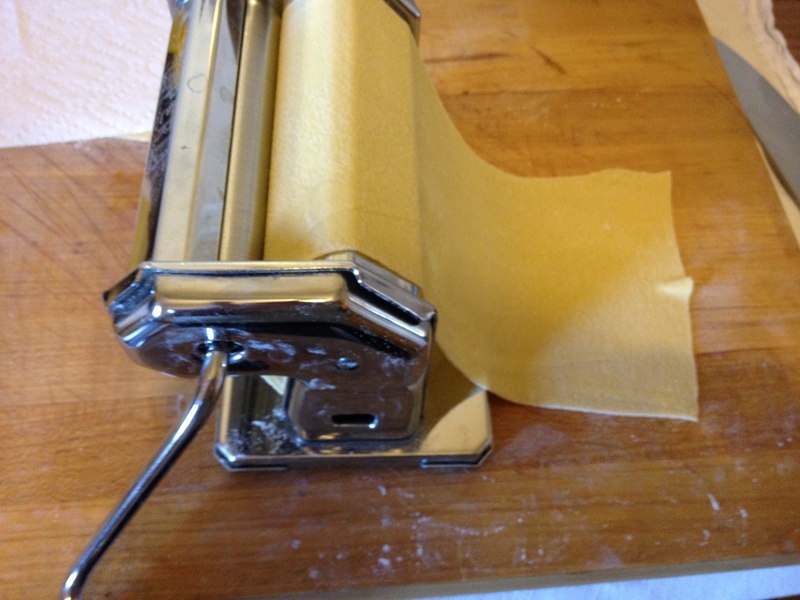 I’ve never made pasta (and don’t have the equipment) but you’re nudging me to get going on it. Aren’t family recipes the best? They really are the best, it took years to finally get this from Mom but it’s such a good recipe I am so happy to have it! Suzanne! It makes me happy just THINKING about pasta e fagioli let alone eating it! I see a steaming hot plate before me in the near future. Definitely. Thanks for sharing your mom’s version. It looks delicious! Thank you, I love it, and every time I eat it I think of my Mom! Oh my gosh, this is so YUMMY looking!!! It’s not ash e reshteh but it’s really good, thank you! This looks so comforting. How special that you are able to recreate something so important to your childhood food memories. Thank you for sharing something so dear to your heart (and stomach). Thank you Stacey, it is a very special recipe and I tried to make it just like my Mom. This looks so amazing, and perfect for a cozy winter day. I’m going to dry this soon! I hope you like it Meg, thank you. This sounds delicious and just the sort of food to combat the wintry chill. Thank you, it’s a great cold weather meal! I love that you are recreating the things your mother made. I’d love to taste this – I bet it is absolutely beautiful. Seems like serious comfort food – always my favourite. It is comfort food, really peasant food from Italy. It’s filling and warm and so delicious. Thank you so much Lindy! wow–I feel lucky to have this recipe 🙂 Thanks for sharing! Thanks so much, it is a family treasure for me. What a beautiful recipe!! I love this type of recipe, the one that stands out from childhood…that we try to recreate over and over until we get it just right. I say “just right” but I still can’t ever get my mom’s recipes to taste like hers do. I know, this is good but it’s still not exactly like Mom’s she never wrote things down, Mom’s and Grandma’s cooked like that so handing down some of these recipes is challenging. It took many conversations with considerable prying to get this. I was hell bent on getting it right. Thanks so much, I was lucky the pasta is not always that perfect looking. Yum! Nothing beats a good pasta e fagioli! Yes, pasta e fagioli is the best. A nice salad and some crusty bread and it’s heavenly. Thank you Stefano. I love this dish, kind of grew into it. It was my Dads favorite and as a young child I could take it or leave it, as I got older I learned to really love it. Thanks so much. Beautiful post. Thanks for sharing your family recipe with us. 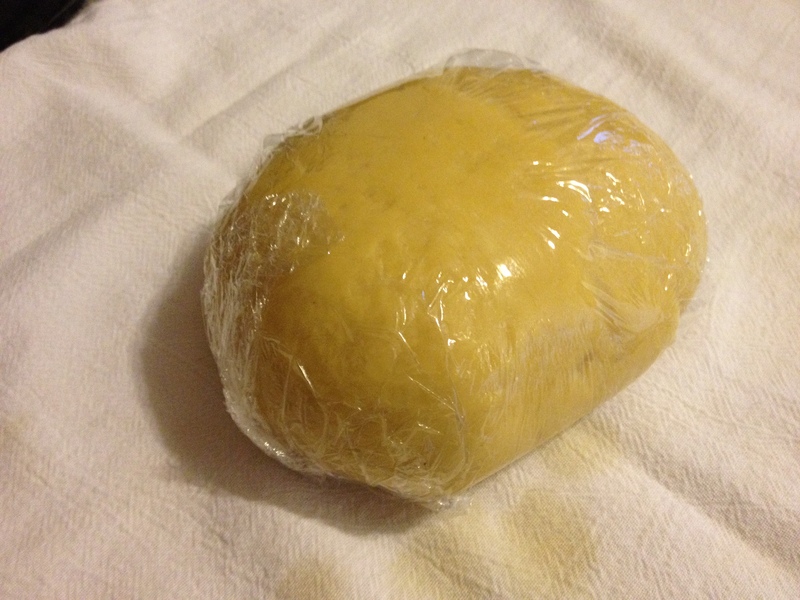 Been making more fresh pasta lately so I hope to try this soon! Thank you so much, love homemade pasta!